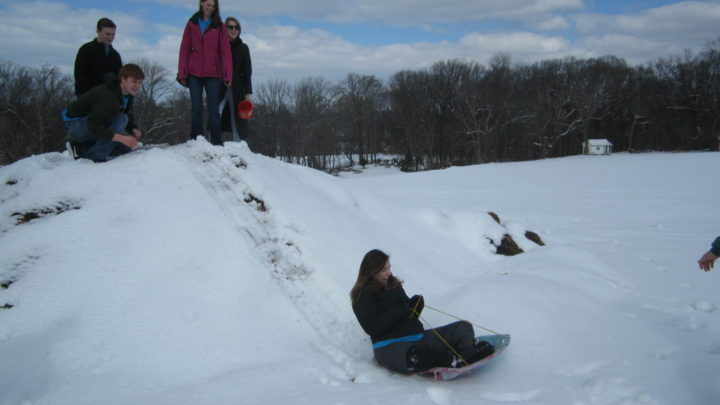 Alternative Spring Break Experience- MSU visits Philly! S.P.I.N. provides services and support to adults and children with intellectual, developmental and autism spectrum disabilities. Here the students interacted with the adults at their community and fitness center. 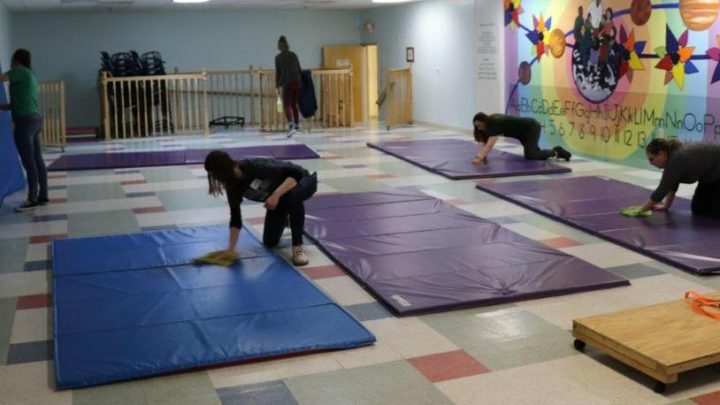 Drueding Center is a transitional housing program for women and children experiencing homelessness. 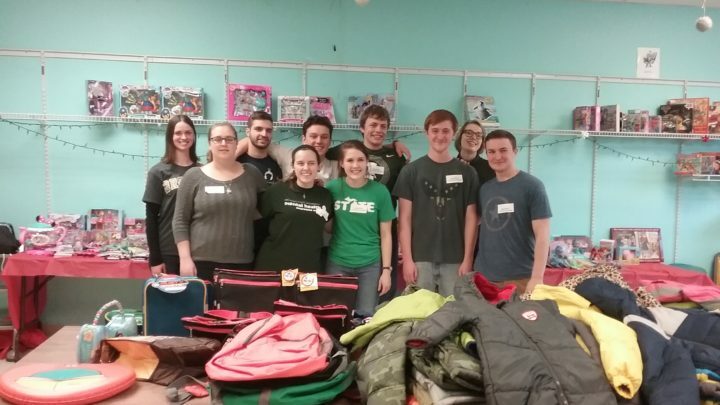 The students worked alongside the maintenance team to prepare an apartment for a new family and helped to organize a room full of toy donations. St. Joseph Manor is a personal care and long-term care facility that provides skilled nursing and assistance with daily living for the residents. 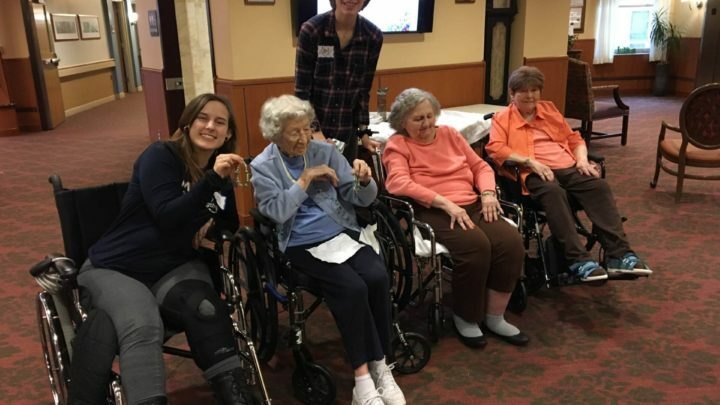 The students visited the Manor during the snowstorm that took place on Wednesday and enjoyed their time visiting, and playing games with the residents. Redeemer Valley Garden, a ministry of the Sisters of the Redeemer, is a place to nurture sustainable soil to bring forth food and flowers, and to grow community by sharing talents, energy and abundance. 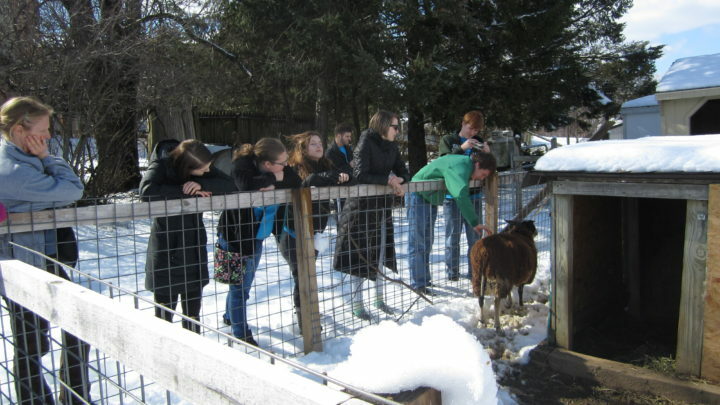 The students planted seeds for the spring and had the opportunity to visit the animals at the garden and enjoy some fun in the snow! On Thursday, we all enjoyed a special dinner and dessert in honor of National Catholic Sisters Week. This was a unique opportunity to celebrate the Sisters and allow the students the chance to discuss vocations with the Sisters over dinner. 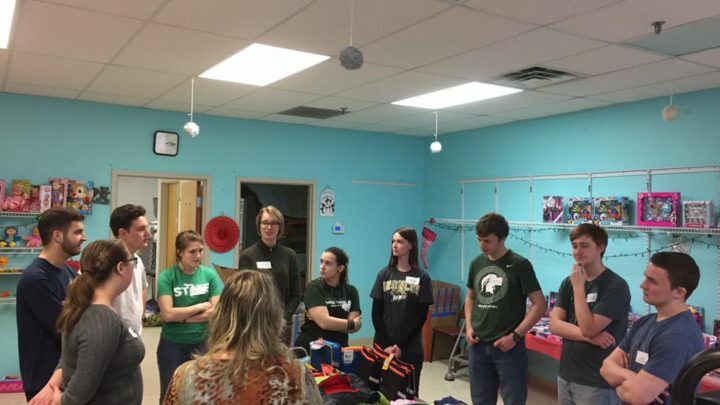 Following their meal, the Sisters and students together formed four teams for our “Crafting with Charism” event. Inspired by the television show “Chopped,” each team started with a basket of craft supplies and a charism of the Sisters. 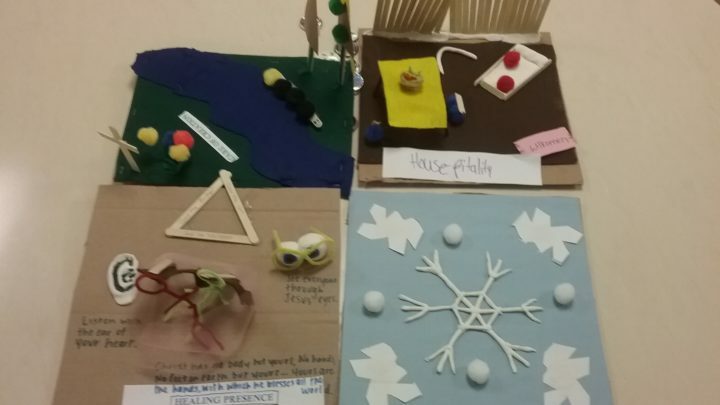 Drawing from their baskets of supplies, each team designed a creative piece of art that conveyed one of the four charisms: healing presence, simplicity, hospitality, and care of creation. The evening concluded with a beautiful prayer service of gratitude and an open sharing of joys and challenges of vocation and graces from the week. The students wrapped-up their time with us by exploring the city of Philadelphia before returning to Michigan on Saturday. They shared what a great week they had and were so grateful for the hospitality and generosity they were shown from the Sisters. 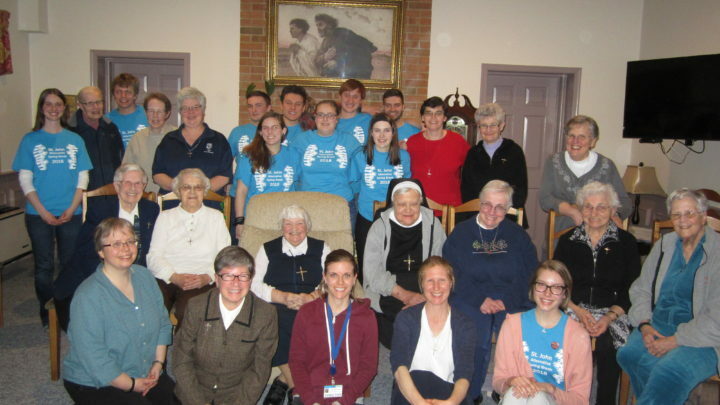 Redeemer Ministry Corps and the Sisters were so grateful for the student’s passion, energy and dedication to service. 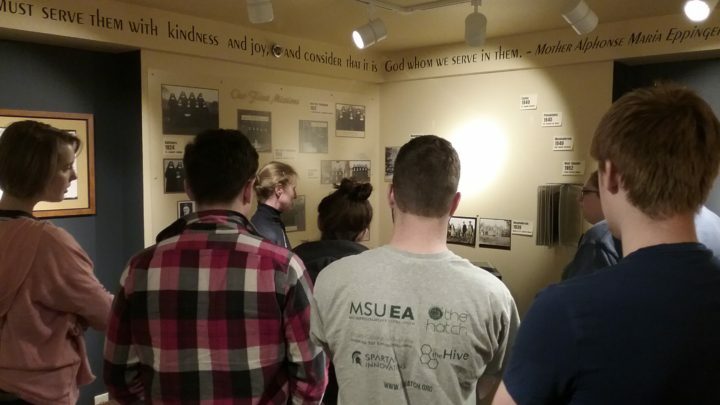 We will continue to hold them in prayer as they finish out their spring semester at MSU!